I've seen many films which had the possibility of being great only if the filmmaker remembered to tie up all the loose ends. Sometimes filmmakers add so many characters to a story that they don't care to write them out properly. Countless times I've seen some prominent characters just disappear from the story without any reason - they're included in the first half but disappear in the second half or miss the entire climax. It is important to write a script which shows growth not only with each character but with the storyline as well. One of my favourite shows was 24 for the simple reason that where it started and where it ended, each season, were miles apart. 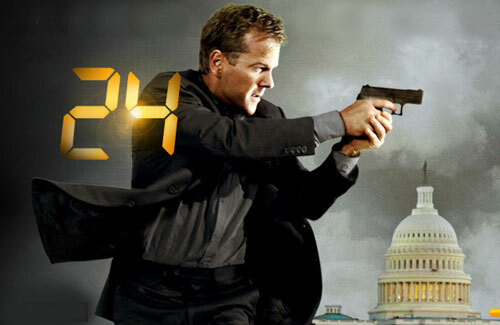 Unlike other shows, you can't watch the first and last episode of each season of 24 and figure out what happened in the other 22, it's impossible. That's exactly how you should be thinking when you're writing. If nothing else I'm grateful to the film AISHA only because I can keep using it as an example. AISHA stars off at a wedding and ends at a wedding, in terms of story there's no growth - it ends where it began. Now if it started with a funeral and ended at a wedding it would say something or better still if it started at a wedding and ended at a funeral it would be a more interesting graph. Language plays a key role script writing. If your story takes place in a particular Village or City, it is important to know how the people of that area speak - New Yorkers speak English differently then people of Texas or South Carolina or Delhi or Mumbai. As much as I love the film Yamla Pagla Deewana there is one thing that bugs me every time I watch the film - the character Paramveer (Sunny Deol) is suppose to be from Vancouver, Canada - well, in order to be Canadian he speaks like a Canadian. However, having grown up and residing in Canada I can tell you that the things he says are in the wrong context. Like when he says "Now, can I have a minute of your time, Eh". It's known by all who are familiar with Canada that Canadians use the word "Eh" frequently while speaking. But the fact is, we don't just throw it out there, it's used as required by the conversation. No self respecting Canadian would ever say "Now, can I have a minute of your time, Eh". We usually say things like "I know, Eh" or "It's really far, Eh, so I usually go by car". Had the makers spoken to a Canadian for 15 minutes they'd have known exactly how we speak and been able to use it properly (or even faster they could have done a Google search - information regarding what context Canadians use "Eh" in is available online). All successful writers/filmmakers have learned the art of tying up loose ends. Anyone can write a script, but very few can write a masterpiece. Like each note of a great symphony, every word you write must have a reason for being there. If you have a character who disappears half way through the story, a reason must be given, he/she can't just disappear and never be heard from again. For many films I've wondered if the writer even wrote a second draft, the films were so badly written, it was inconceivable how it even got produced. The advantage of writing and re-writing several drafts is that not only do you know your script inside out but you also start to see loose ends or things that cannot happen because of the way you left a certain scene or character. I once wrote a scene in which a man had lost his watch, well a few scenes later I had him looking at his watch to check the time. Now, if he had lost his watch he can't be looking at it, unless I explain how he got it back or change the scene so he finds out the time another way. If I always went with the first draft I wouldn't have caught that or many other scenes since then. Sam is 13 years old when Rizwan and Mandira get married in 2001, six years later he's still 13 in 2007 - How's that possible? Did he take some potion to stay 13 forever? We're told Sam is killed on November 27, 2007 because children in school are picking on him for being Muslim even though he’s a Hindu. Just because his mom is married to a Muslim man doesn't make the kid Muslim. We're never told that they converted. Unlike India, in America, you don't have to change your religion in order to marry someone. No one would riot in 2007 for 9/11 which happened in 2001 especially not in San Francisco which is thousands of miles away from the events site. Why does Rizwan need to go meet the president of united states, he's not going to make Sam magically come alive and he certainly can't help Rizwan. The time line just doesn't work. The only explanation I can think of for the time shift is the Hurricane sequence when we find Rizwan in Wilhemina, Georgia. Georgia is not known for hurricanes and there were no hurricanes in the state in 2007 or 2008, so even those details are wrong! Had Karan Johar and Shibani Bathija done an ounce of research they’d have known that. It's loose ends such as these which should never be part of a script, My Name is Khan has hundreds of such lapses. The film would've worked if the story stayed in 2001 instead of moving back and forth between 2001 and 2007. Because of the back and forth nature of the script and the stupidity of Karan Johar and Shibani Bathija, the film is full of loose ends which could've been easily explained. If Karan Johar and his team did an ounce of research about the American culture, they would've been able to make a decent film. The 1982 film, Gandhi was made by British filmmakers how would the Indian public feel if they got all the details wrong, I don't think they would've forgiven them for that. Research is very important in the films made by the west, how one wishes Indian writers would pick up on that as well, it will only help them tie up loose ends. Instead of copying the films Indian writers should copy the western work ethic, perhaps then we would start seeing some good films more regularly.